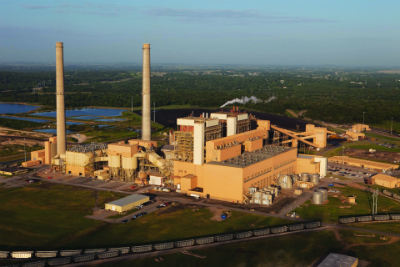 Based on data recently published in the US Energy Information Administration’s latest preliminary annual electric generator survey, several coal-fired electricity generators in the United States installed mercury control equipment based on activated carbon injection systems just prior to compliance deadlines. The nature and timing of control additions indicate a strategy to maintain the availability of affected coal-fired generators by requesting extensions to compliance deadlines and investing in flexible, low- cost environmental control technology, says the EIA. At the end of 2011, the US Environmental Protection Agency (EPA) announced standards to limit mercury, acid gases, and other toxic pollution from power plants. EPA’s final ruling, called the Mercury and Air Toxics Standards (MATS), was released on 16 February, 2012. MATS required all coal- and oil-fired generators that sell power and have a capacity greater than 25 MW to comply with emissions limits for toxic air pollutants associated with fuel combustion such as mercury, arsenic, and heavy metals. At the time, the rule applied to 76% of all operating coal units. The initial compliance deadline was 16 April 2015. Between January 2015 and April 2016, about 87 GW of coal fired plants installed pollution-control equipment, and nearly 20 GW of coal capacity retired. About 26% of those retirements occurred in April 2015, meeting the MATS rule’s initial compliance date. According to analysis by MJ Bradley & Associates (reported by EIA), 142 GW of coal plants had applied for and received one-year extensions that allowed them to operate until April 2016 while finalising compliance strategies. An additional one-year extension to April 2017 was granted to a few units critical to ensuring electric reliability. Five coal plants with a combined capacity 2.3 GW received this extension. Since then, two of the five plants have retired, one converted to natural gas, and one installed MATS-compliant controls. The remaining plant, Oklahoma’s Grand River Energy Center (pictured below), was given another emergency extension on grid reliability grounds in April 2017. Of the coal capacity installing pollution control equipment to comply with MATS, activated carbon injection (ACI) was the dominant compliance strategy, with close to 78 GWs of coal capacity adding ACI. Activated carbon injection systems work by injecting powdered activated carbon into the flue gas stream. This powered activated carbon then absorbs the vaporised mercury from the flue gas and is collected via the plant’s particulate collection system. Activated carbon is a carbonaceous, highly porous adsorptive medium that has a complex structure composed primarily of carbon atoms. ACI technologies have the shortest construction lead time of the compliance control technologies, between 12 and 18 months, and the lowest installation cost, about $11 per kW, says the EIA. Other technologies, such as electrostatic precipitators and baghouses have longer lead times and higher costs. Flue gas desulphurisation has the highest average lead time, at 50 months, and the highest installation cost, at $228/kW, according to the EIA. FGD technologies can control mercury, sulphur dioxide, and acid gases, whereas ESPs can control mercury, non-mercury metals, and acid gases.